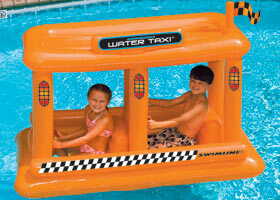 This inflatable taxi holds two kids with a play steering wheel and horn. Holes in the bottom for their legs allow the kids to motor around the pool. Made of heavy gauge PVC. Measures 68" x 35" x 57". 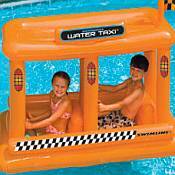 Perfect for hours of playtime swimming fun.